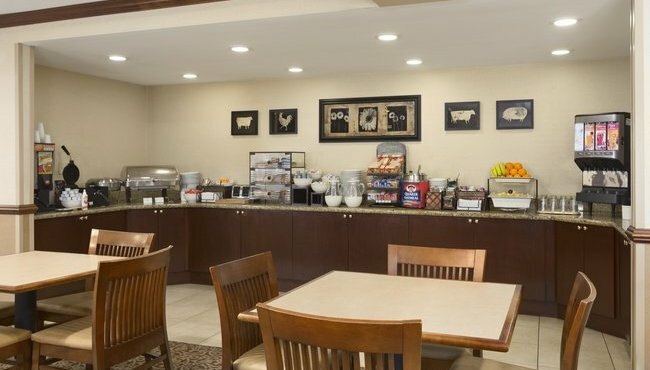 At the Country Inn & Suites in Woodbridge, VA, our complimentary breakfast features golden waffles, bacon, and light options like fruit and cereal, which are all served on classic diningware. Sip a cup of hot coffee while browsing a free weekday USA TODAY® newspaper or planning your trip to the National Mall using free Wi-Fi. Later, you can visit a nearby restaurant for lunch or dinner. Try gyros or pizza at Astoria, or savor an Indian entree from Taste of Tandoor.